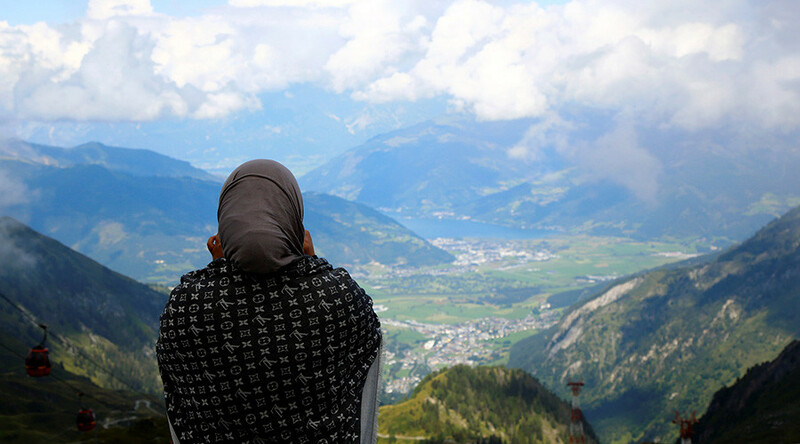 A ban on all Muslim face veils in public places is part of new measures agreed by Austria’s ruling coalition partners, and is due to be implemented before the next parliamentary vote in 2018. The ban is a part of the ‘integration law’ included in the coalition’s new action plan, which was negotiated by the representatives of the center-left Social Democratic Party (SPO) and the conservative People's Party (OVP), which together form the ruling centrist coalition. The contents of the new governmental program were presented on Monday. The proposed Muslim face veil ban mostly applies to the burka and niqab – the veils that cover the whole face or leave only the eyes open. Under the new measures, women will not be allowed to wear burqas or niqabs in any public places. "We believe in an open society that is also based on open communication. Full-body veils in public spaces stand against that and will therefore be prohibited," the text of the action plan said. The draft law also envisages a full ban on any Muslim headscarves for all state and public officials, police personnel, judges and prosecutors as part of the “neutrality standard in the public services.” However, this full ban would not be applied to teachers, a government official told the Austrian Kurier daily. Apart from the ban on Muslim veils, the ‘integration law’ also includes mandatory attendance of German language lessons and value courses for all refugees and migrants arriving in Austria. Those who refuse to attend the courses, would be ‘fined’ by having their social benefits cut, the draft proposal says. The paper particularly stresses that all Salafist propaganda and recruiting campaigns as well as distributing the Koran by Salafist groups would be banned in Austria. The ruling coalition’s political program also includes some broader security measures such as the electronic tagging of former jihadists and increased video surveillance measures. The coalition also vowed to stem the migration inflow to Austria and lower the number of new arrivals. The government also plans to restrict eastern European workers access to Austria’s labor market while prioritizing the job needs of Austrians in sectors where companies prefer to hire workers from Eastern Europe. Earlier in January, a similar system was proposed by the Austrian Chancellor Christian Kern, the head of the SPO. Such a system was provisionally implemented between 2004 and 2011 after many countries of Central and Eastern Europe joined the EU. The new program is expected to cost the government € 4 billion ($ 4,27 billion) and was signed by all the ministers on Monday. It’s been sent to the Lower House of the Austrian parliament for approval and is due to be debated on Tuesday. The paper was agreed by the representatives of the SPO and OVP following a rift in the coalition that could result in early elections. However, on Sunday, the coalition partners managed to successfully re-negotiate the terms of their political alliance. Austria, which has a population of about 8.7 million people, received more than 130,000 claims for asylum from people coming from the Middle East and Northern Africa since the summer of 2015 and took in one of the greatest numbers of refugees per capita along with Sweden. 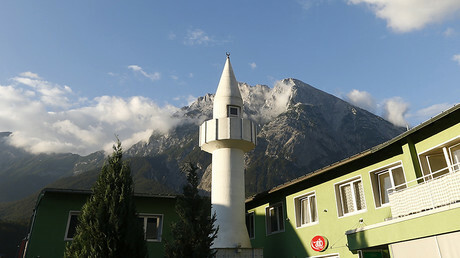 Now, about 600,000 Muslims, including those, who arrived during the refugee crisis, live in Austria, accounting for about 7 percent of its population. A recent study conducted by the Austrian Academy of Sciences demonstrated that 40 percent of refugees in Austria believe religious commandments take precedence over the nation’s laws.